Christmas may have come and gone, but the holiday celebrations are still going. I absolutely love this time of year. The time spent with family and friends, the relaxation, the festive parties and decor, the food, the drinks…you get the gist. But, I especially love checking my mail each day and opening all of the holiday cards! Each one is unique and tells its own story. I enjoy seeing the photos of family and friends, all full of love and happiness. 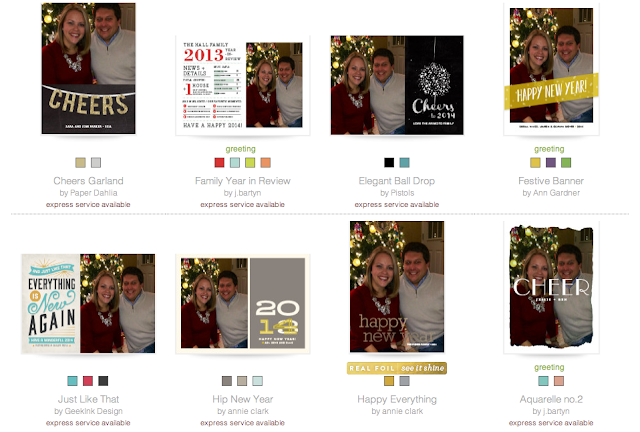 And of course, I get so excited to create our holiday card each year! 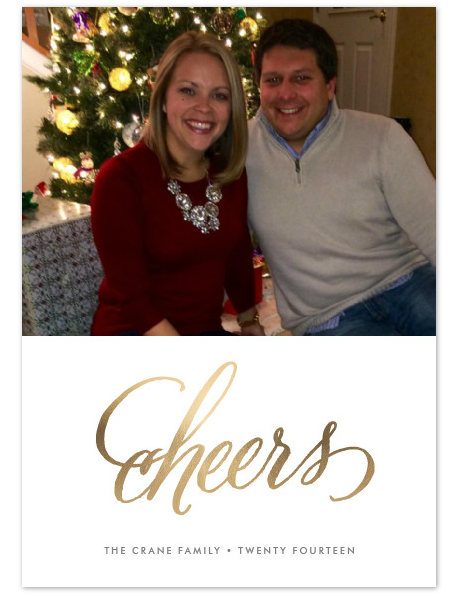 If you didn't have time before Christmas to get your holiday card out, don't worry! You still can! 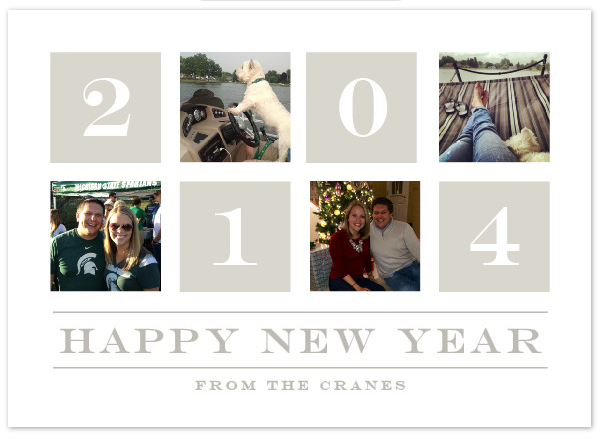 Send a Happy New Year card to kick off 2014! In fact, this is exactly what my husband and I did this year. We wanted to do something fun and different, so we decided to go with a Happy New Year card over our traditional holiday card. Minted has a fabulous selection of high quality New Year cards to choose from, and they are currently offering 15% off your purchase until January 1, 2014 with the code FLURRY15. What I love about Minted is that they are the premier marketplace for independent design. They collect independent designs from all over the world (43 countries to be exact) and offer them to you on high quality paper. Now, I know that choosing a holiday card can be overwhelming. There are just SO MANY options. Enter reason #2 why I love Minted: The "Find It Fast" feature. 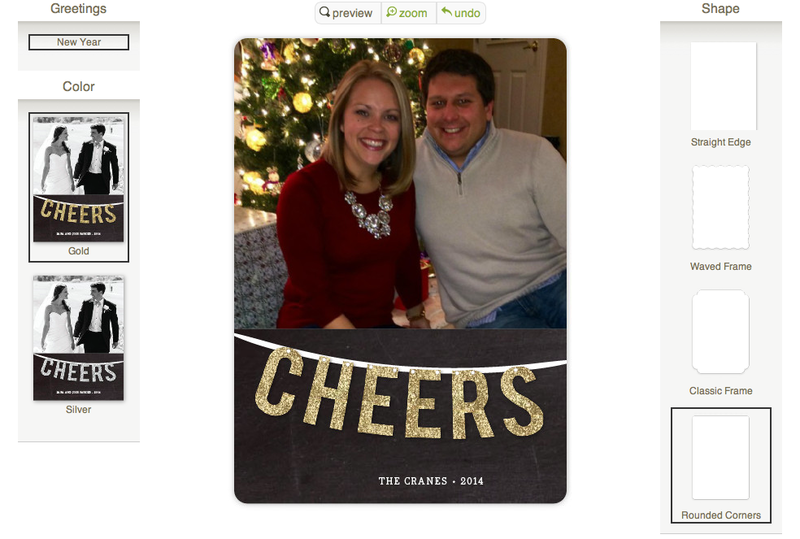 This feature allows you to see your photo in many cards at once, making it so much easier to choose your favorites. Speaking of favorites, Minted has a quick and easy button that allows you to save the ones you love and go back and view them later. My first time around, I had 34 favorites! 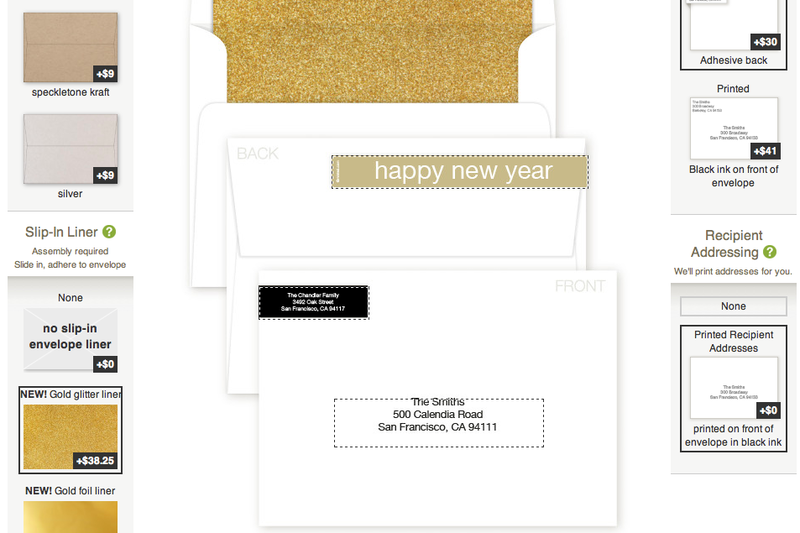 I especially love the foil pressed cards - so beautiful and perfect for saying Happy New Year! The mini-book cards are also fun and unique! Once you choose your design, you can move all of the elements around to suit your picture. You can also personalize and preview it easily right there. Change the shape of the card, if you wish, as well. To make it even more fun, you can also choose a backer. 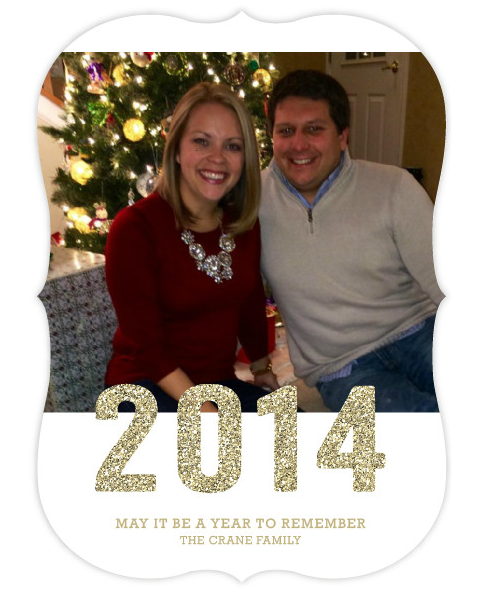 Include a solid pattern, photos and/or a message or write up about your year. Add skinny wrap and an envelope liner for your final touches. And if you weren't already sold on Minted, they will address your envelopes for you for FREE! Such a time saver! 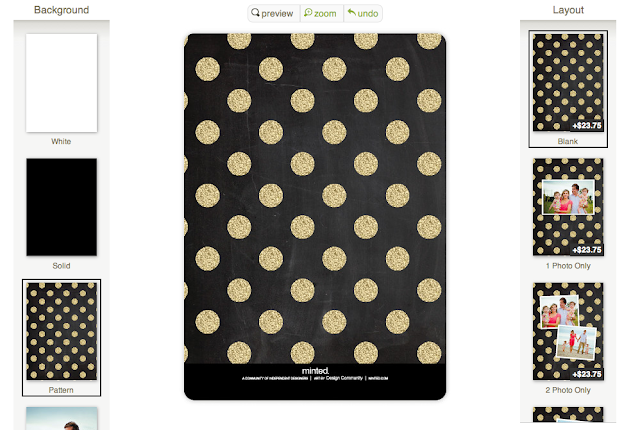 I had so much fun playing around on the Minted site. I loved how user-friendly it was! 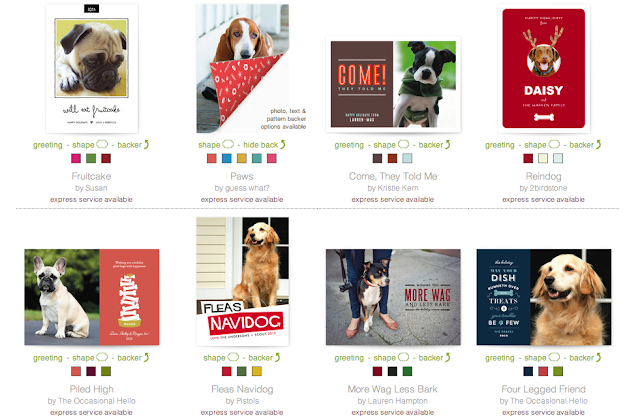 And if all of this wasn't fun enough, Minted also has a variety of Pet Holiday Cards! They are so cute and perfect if you don't have a picture of yourself or family that you'd like to use. 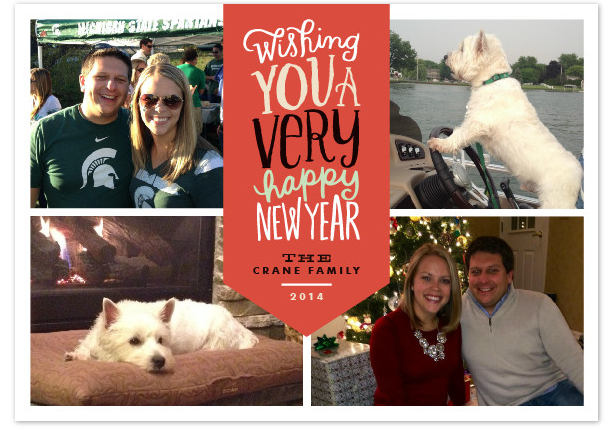 I think our Westie dog, Charlie, will have to send out a card next year! 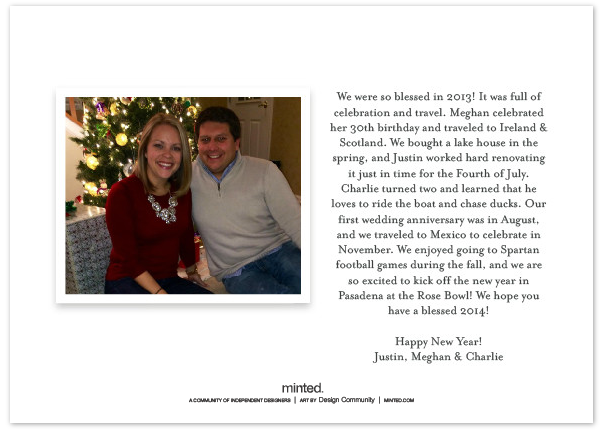 Even if you're not in the market for a holiday card, I guarantee Minted has something for you. The site has a great selection of stationary (love snail mail), business cards, art prints, party decor, announcements, party invitations, wedding paperie and gifts. As a new customer myself, it has been so much fun to just shop around on the site and get ideas for later. I'm obsessed! Having a New Year's Eve party? Make sure to check out the holiday party decor! To celebrate the New Year, Minted is giving away a $50 credit to their site! 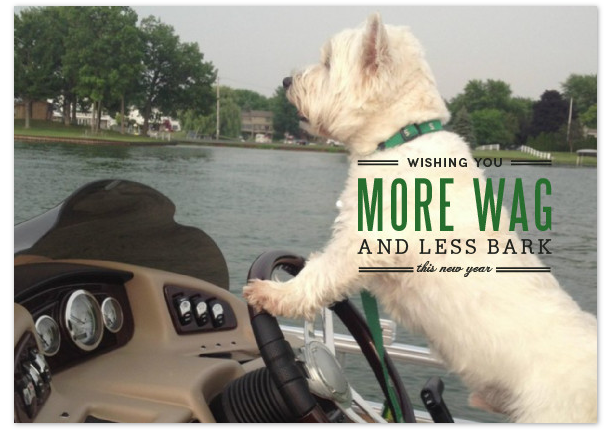 It's not too late to get a New Year card out! It is perfectly acceptable to send them through the first half of the month. Plus, it is certain to brighten everyone's day as we suffer from the post-holiday blues and gray, cold weather! To enter the giveaway, simply use the Rafflecopter below. GOOD LUCK! Did you send out holiday cards this year? How would you spend the Minted credit? This post was sponsored by Minted. All opinions are my own.